Interior bulkhead light. Polished brass with a white glass shade. 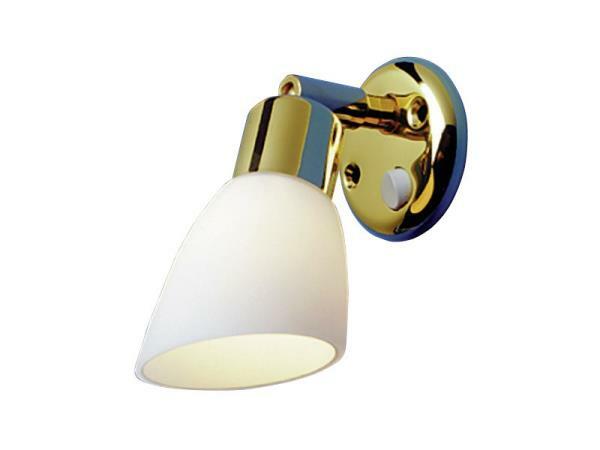 All brass body with anti corrosion protective lacquer. Integral rocker switch. Swivel and pivot directional adjustment. 10 watt, 12 volt halogen bulb.